During the period of German Reunification, the renowned Istanbul photographer Ergun Çağatay (1937–2018) travelled through East and West Berlin to do a reportage project. He was looking for the second generation of Turkish immigrants, and he found a city in upheaval. 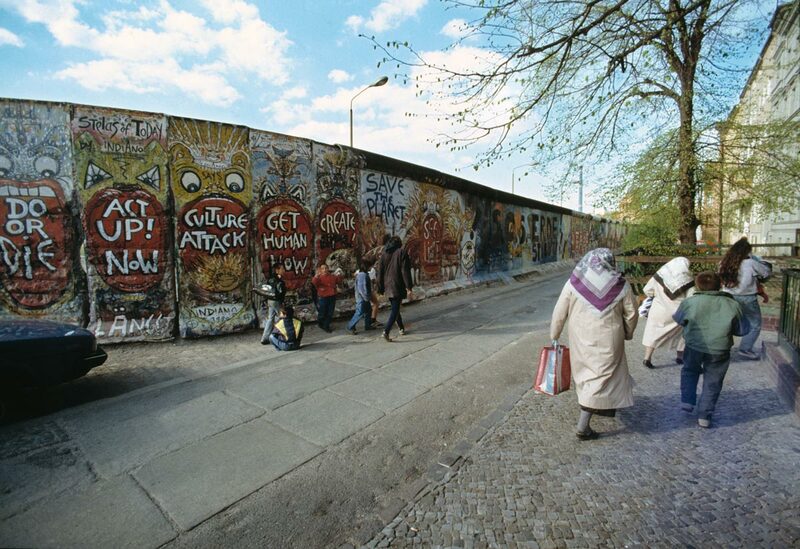 The fall of the Berlin Wall opened up new possibilities. Turkish business people began to take over East Berlin. Turkish people in West Berlin, however, were confronted with numerous challenges. The Turkish minority had to find a new place in society. Now historical documents, Çağatays’ photographs show euphoria and optimism as well as the effects of marginalisation and racism. The exhibition is an invitation for people from different cultures to come together around these photographs in a search for traces of the past, and to ask: Who are the people in these images? How did the life of Turkish communities change as a result of developments in Berlin after the fall of the Berlin Wall? And are there still Walls present in people’s minds? Are new Walls coming up once again?